Sierra Tucson is a rehabilitation center that classifies themselves as a luxurious experience that aims to help the patient recover in a stylish environment that will make them feel comfortable, cared for, and where drugs and alcohol are never permitted. The facility primarily relies on standardized treatment approaches to addictions, such as the 12-step program that the majority of addiction treatment centers tend to utilize in order to help patients through their recovery. Detoxification and other services are also provided, ensuring patients can come to the facility to go from being an addict toward a sober person with a more positive outlook on their own lives. While the main focus of the treatments offered to patients at Sierra Tucson is in regards to drug and alcohol addictions, the facility is also able to help with the treatment of other problems, including eating disorders, which is another common problem observed in the local population. Full housing benefits are provided to those patients who are admitted to a residential treatment program at Sierra Tucson. Patients will be provided with access to spacious rooms, where two patients are assigned to each room. This does, however, mean that rooms are not private, but rather shared. Beds are full-sized instead of twin-sized, as seen among many of the facilities that provide rehabilitation services. The rooms have also been designed to be similar to what one would expect to find at a hotel. There is no information on the specific number of patients that can be treated simultaneously at the residential unit of Sierra Tucson, but details on the availability of bed can be requested by contacting the admissions office directly. Many patients who come to Sierra Tucson for addiction treatment services will start their program through detoxification. During the patient’s time in detox, drugs and alcohol will be eliminated from their system, and withdrawal symptoms will be effectively managed by the staff members on duty. Patients will also be offered support during this phase of treatment, as the staff members know how difficult withdrawal can be. There are different kinds of therapeutic options that patients will be presented when they come to Sierra Tucson for treatment of their disorders and addictions. The particular therapies that a patient will undergo depend on a few factors, such as their specific condition, how severe their condition is, and the individualized program that has been constructed for them. In addition to individual and group therapy sessions, the center also provides patients access to equine therapy, experiential therapy, spirituality therapy, and adventure therapy. No details are shared in terms of utilizing an active insurance policy to pay for the services rendered to a patient by Sierra Tucson. Patients can contact the intake staff members to determine if they would be able to be admitted to a treatment program at Sierra Tucson through the utilization of their insurance policy. Patients with an insurance policy that is not accepted or those who are not insured will be held responsible for their own bills. The center does not provide details of financial arrangements, but a medical loan could be taken out in order to cover the cost of treatment at the facility. We were unable to find information regarding the accreditations held by Sierra Tucson. We do understand that many patients want to ensure that a facility has been accredited for the quality of the services they provide before deciding which company they should trust when it comes to undergoing treatment for their addictions and other disorders. Patients can, however, request information about the credentials of the company by contacting them directly, or when they visit the facility for a consultation. 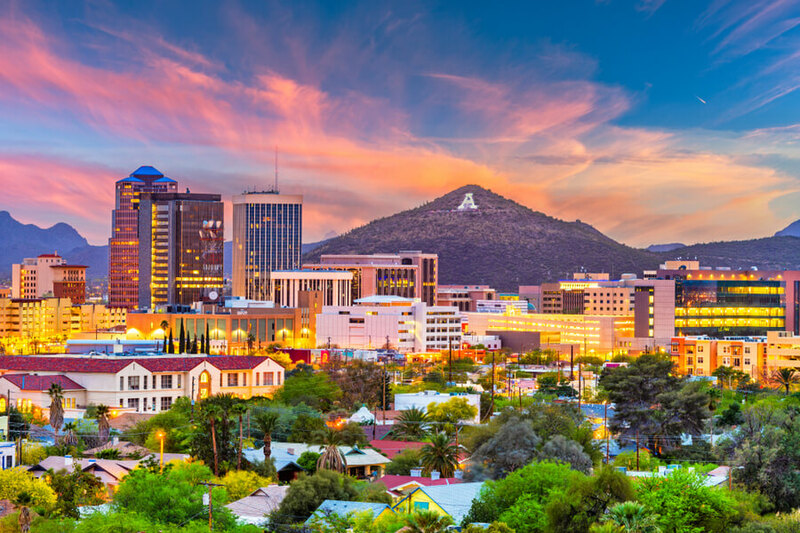 Numerous convenient amenities are presented to the patients who are interested in being treated for their addictions, mental disorders, or eating disorders at Sierra Tucson. Patients will be provided with laundry facilities, and their rooms will be cleaned on a regular basis. Shared bathrooms are available, which will always be kept in a pristine condition by the cleaning staff employed at the facility. Patients who are being treated at Sierra Tucson will also be provided access to a fitness center, where they can participate in a large variety of exercises and physical activity programs. Due to the official website of Sierra Tucson not being available on the internet, it is difficult to determine whether the staff members at the facility are appropriately qualified and experienced to deliver effective treatment services to the patients who would like to recover at this particular facility. We did note that the staff members are apparently highly educated and they all hold appropriate certifications for their positions. A total of 27 therapists are available to assist in treating patients at the facility, all of whom had received Master-level degrees and their Ph.D.’s. Patients who would like to find out more about the staff members and perhaps even meet some of the psychiatrists that would be treating them if they decide to undergo a residential program at Sierra Tucson should get in touch with the facility directly, or visit the admissions office and talk to the counselor at the center.